CPR Educators offers CPR certification, first aid, and AED training in Atlanta, GA. Our training center is an authorized center with the American Heart Association, and our certified instructors are both experienced in training, in addition to their extensive professional background in emergency care. Our instructors include nurses, EMTs, doctors, and firefighters who understand how to teach these courses in a way that goes beyond the skills assessment, and prepares students to administer care in a real-world setting. 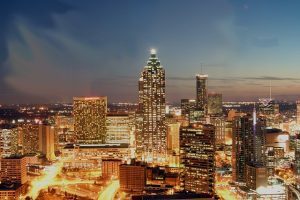 Why Take Atlanta CPR Classes? Simply put: CPR and first aid, when done correctly, saves lives. We understand that many of our students take our courses because of job requirements or legal requirements, but these skills can be the difference between life and death. In the event of a heart attack, stroke, or major accident, CPR and first aid can be the bridge that keeps someone alive between calling for help and first responders arriving. At CPR Educators in Atlanta, we make sure our students are given comprehensive instruction with hands-on, practical training so if there is an emergency, they can confidently step in and take action. CPR Educators offers multiple life-saving skills training courses at our American Heart Association Authorized Training Center in Atlanta, from basic life support to pediatric CPR. Our goal in these classes is to provide thorough instruction in a small class setting that allows students to learn, ask questions, get engaged, and even have fun! This class is designed for child care workers, daycare facilities, and other professionals who work directly with children. Students learn how to provide care for illness and injury in infants and children while awaiting professional medical support. This course is specifically for all types of healthcare professionals, including doctors, nurses, and dental professionals. Our instructors teach CPR and cardiovascular life support skills and how to apply them to both a healthcare setting, such as a medical office or nursing home and also pre-hospital settings. Students seeking a self-guided course will enjoy from this partially online course in which much of the class is taught online while the practice and skills assessment are completed in the classroom. Bloodborne pathogens can be extremely dangerous, which is why OSHA has required that employees in certain industries are trained in how to handle blood and bodily fluids to prevent the spread of disease and infection. This course is intended to satisfy OSHA 29 CFR 1910.157 and teaches students how to safely and confidently use a fire extinguisher to put out small fires. If you are in or near Atlanta and are interested in CPR classes, AED training, or first aid training, we hold classes at different times throughout the month, making it easy to find the class to fit your schedule. For businesses in Atlanta who require or want to offer emergency training, we provide on-site first aid and CPR classes! Our instructors will bring the classroom to you and provide the same effective, practical instruction we offer at our training center. We are also happy to customize the curriculum to apply to your industry needs, such as day care centers or dental practices. If you have questions or would like to schedule on-site CPR certification classes, let us know! Reach out to us today at (919) 639-4848 send us an email, or fill out our contact form!